Garaged for the past 10 years, this 1972 Porsche 911T has finally come out of hiding. Now, all it needs, is a proper restoration, which of course, is where we come in. Truth be told, we wanted to restore this classic 911 Targa as soon as we saw it. Look beyond its weathered paint and minimal rust, and you’ll find a solid candidate for a concours restoration - a car that's waiting for the right moment to make its return. After all, 1972 was a landmark year for the 911 - it was the year the engine increased to 2.4 liters, the transmission was inspired by the Porsche 908 race car, and the oil filler door would make its first and last appearance on the right side, just behind the door. 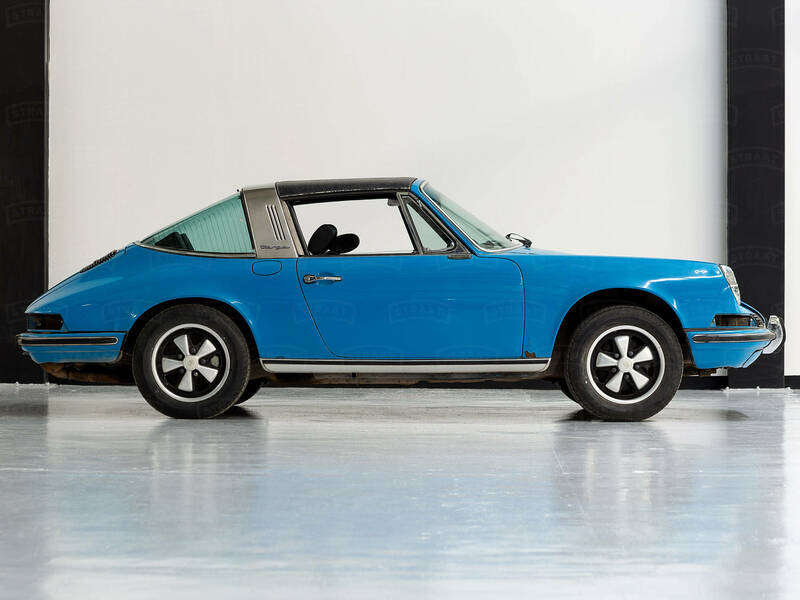 This particular 1972 Porsche 911 also has a gorgeous Glacier Blue color and all five of its original Fuchs wheels — all icing on the comeback cake. Of course, the fact that this model is a Targa did not escape our attention. If you’re looking for a classic Porsche with that open-air feel, there’s no better place to be than behind the wheel of a car like this — especially after it’s gone through our rigorous and highly-documented restoration process. Ready to turn this 1972 Porsche 911T into your dream car? Please fill out the form below or contact us. We’d love to work on this project with you!